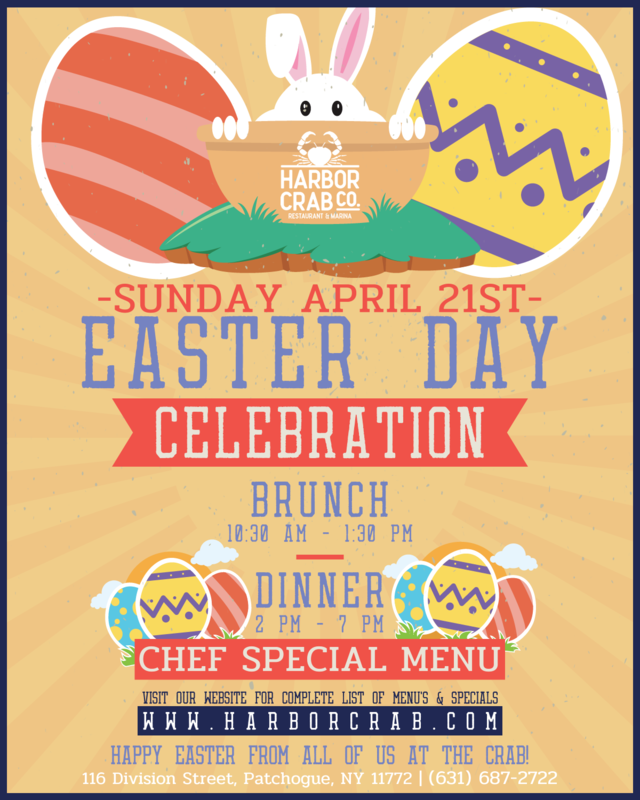 Hop down to Harbor Crab and celebrate Easter Sunday on the River! Enjoy a Chef Special Menu during our Brunch 10:30am-1:30pm or Dinner 2pm-7pm. Call us today to reserve your spot!